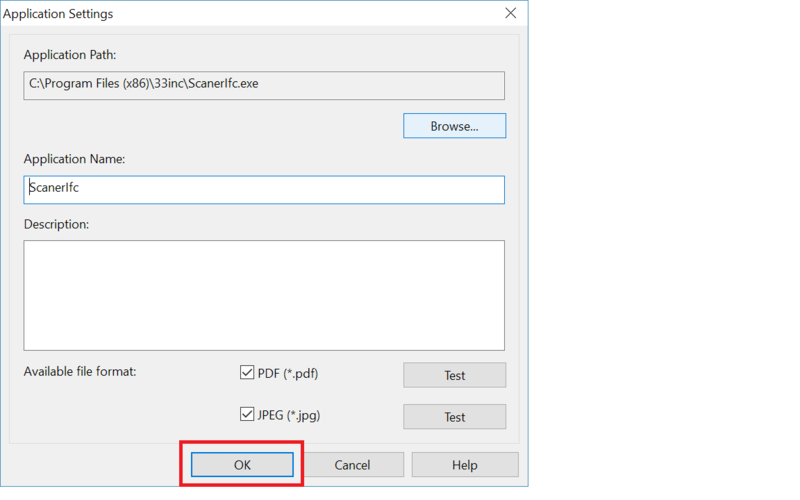 If after scanning, a screen comes up asking where to save not allowing you to finish scanning, you need to return the scanner to the correct the read-in settings and then rescan the cards. After scanning, if screens such as those below come up, press X. You will get a message saying "Would you like to delete the read-in file?". Tap "Yes", and close the window. 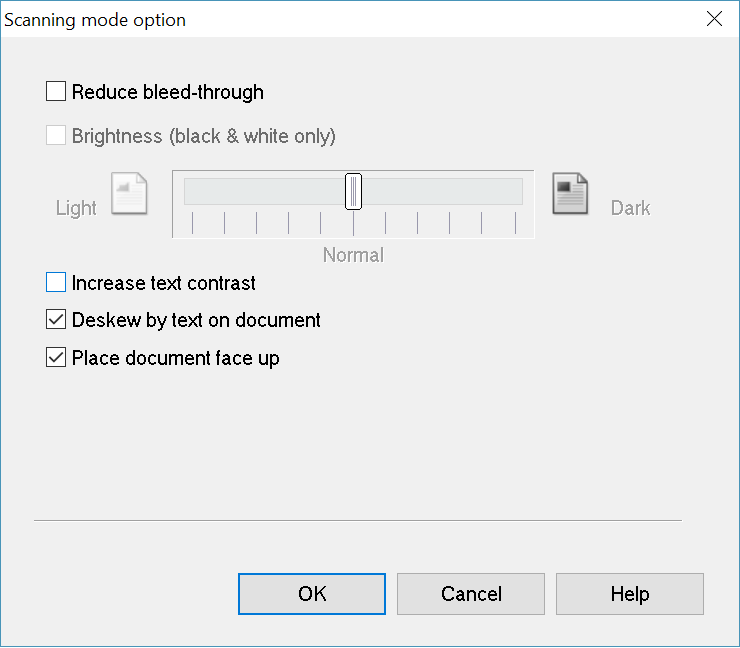 Please set the read-in settings for the Scanner as below. 1. If the Scanner App is open, please exit it. Tap the "Power" in the upper right of the screen", and then tap "Exit Application". 2. 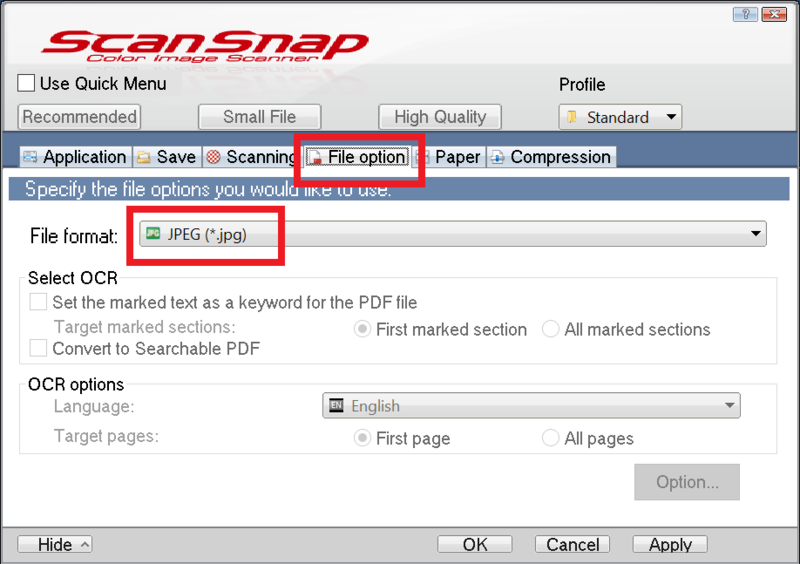 Open "ScanSnap Manager Settings"
From the task bar in the lower right of the screen, hold down (right click) the S icon, and then tap "Scan Button Settings". 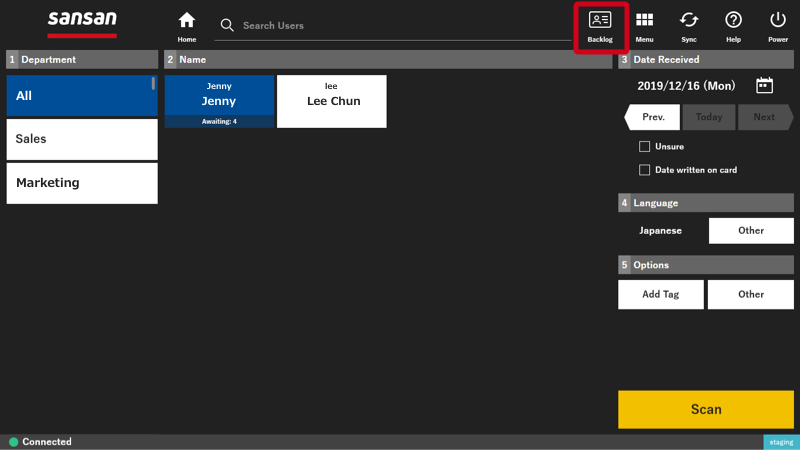 From the Windows start menu, tap on "All Programs", "ScanSnap Manager", and then "ScanSnap Manager Settings" to open them up. 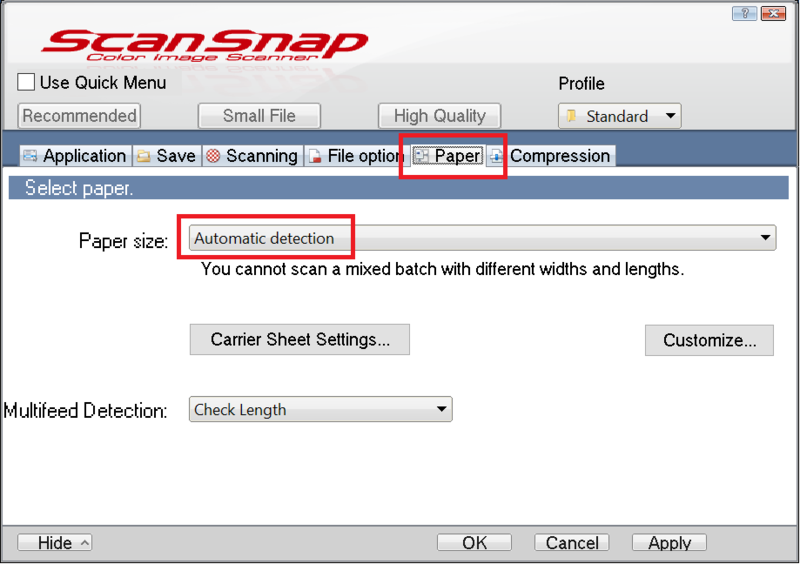 From the application list, open up "ScanSnap Manager Settings" . If the settings tab does not come up, tap on "Detail". 3. Removing the check from "Use Quick Menu". If there is a check next to "Use Quick Menu", remove this check. 4. Set "Profile" to "Standard". Check if "Profile" are set to "Standard". 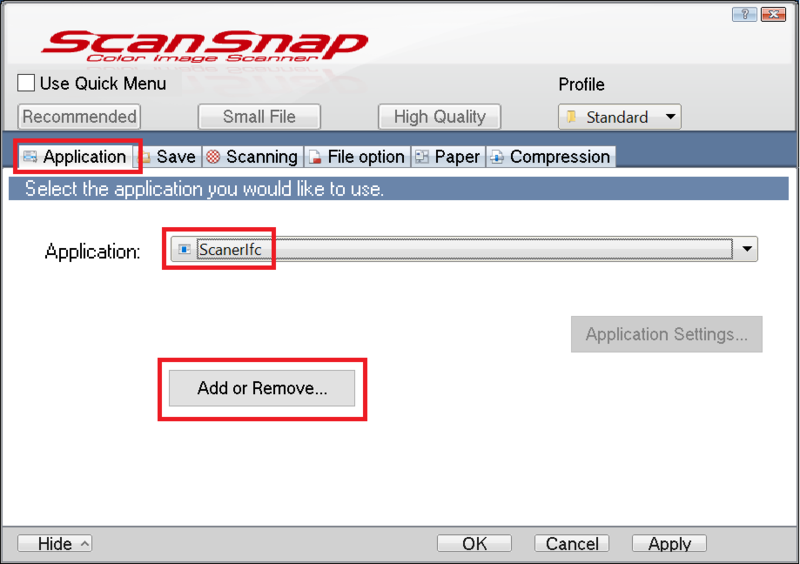 From the ScanSnap Manager settings screen, select the "Application" tab. 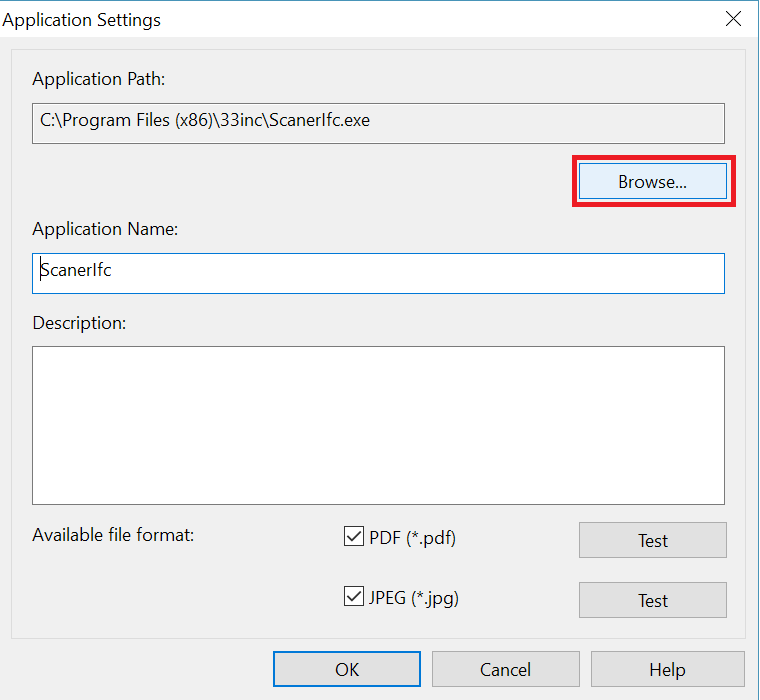 From the selection, choose "ScanerIfc", and then tap "Application Settings". With "ScanerIfc" selected, tap "Change". * Please note that for the 64 bit version and the 32 bit version, the application is in different places. Select [C:\Program Files (x86)\33inc\ScanerIfc.exe], and then tap "Open". 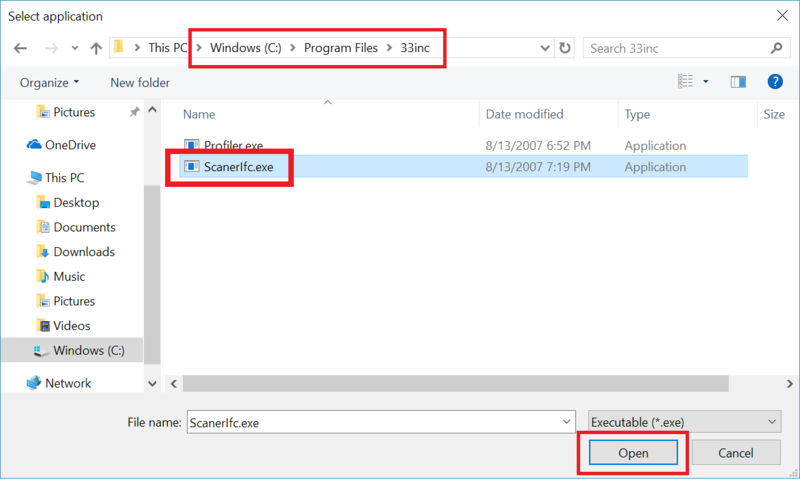 Select [C:\Program Files\33inc\ScanerIfc.exe], and then tap "Open". 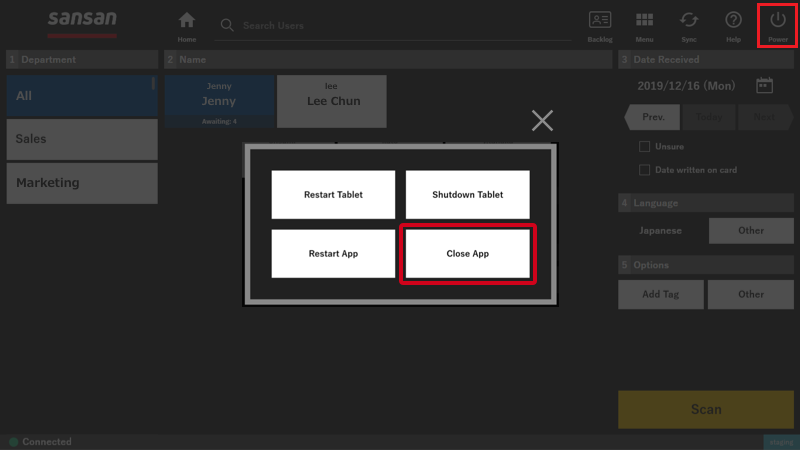 Click "OK", and the "Application Settings" window will close. Close the "Add or remove applications" screen. Select the "Save" tab. 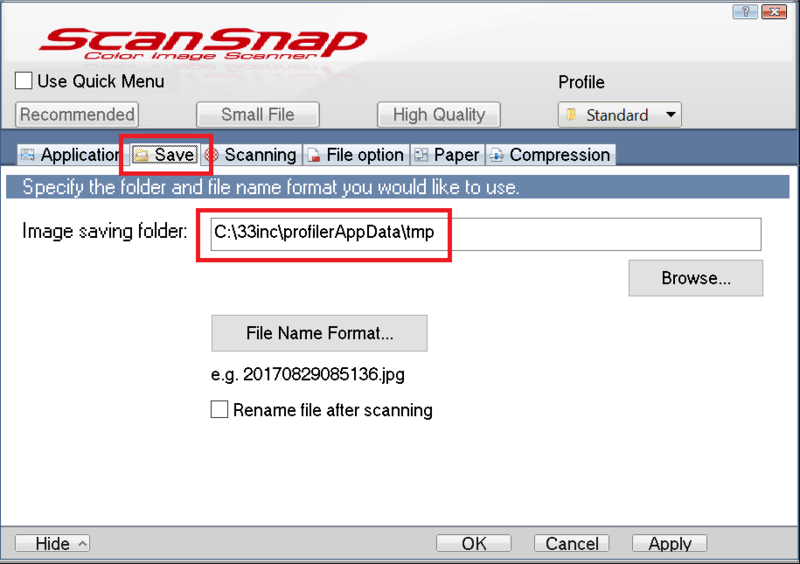 For the image save folder, select [C:\33inc\profilerAppData\tmp]. 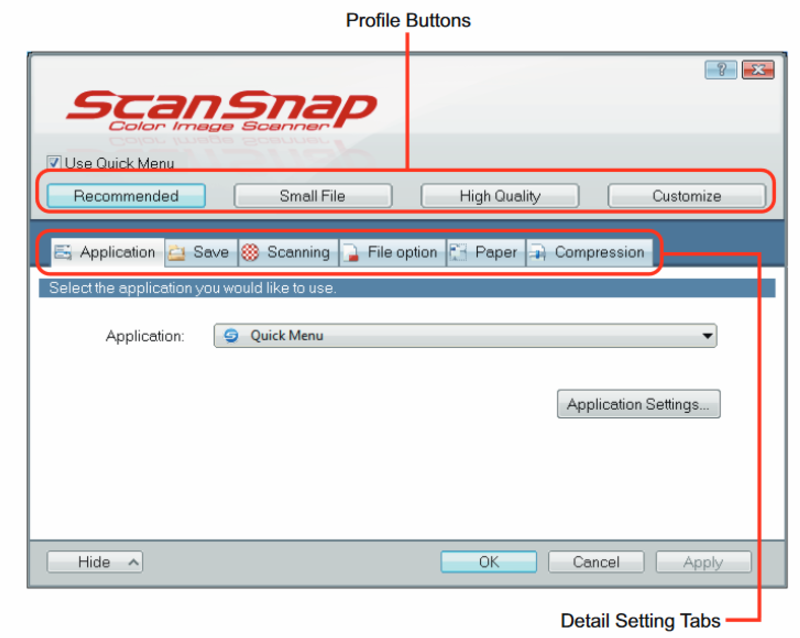 Select the "Scanning" tab. Do the following settings. Scanning side: "Duplex Scan (Double-sided)"
Next, from the "Scanning", tap on "Option". 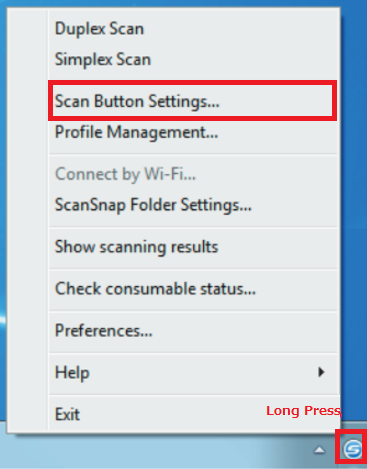 From the "Scanning mode option" screen, please do the following settings. When finished, tap "OK". 8. Settings for "File option"
Select the "File option" tab. Set it as below. 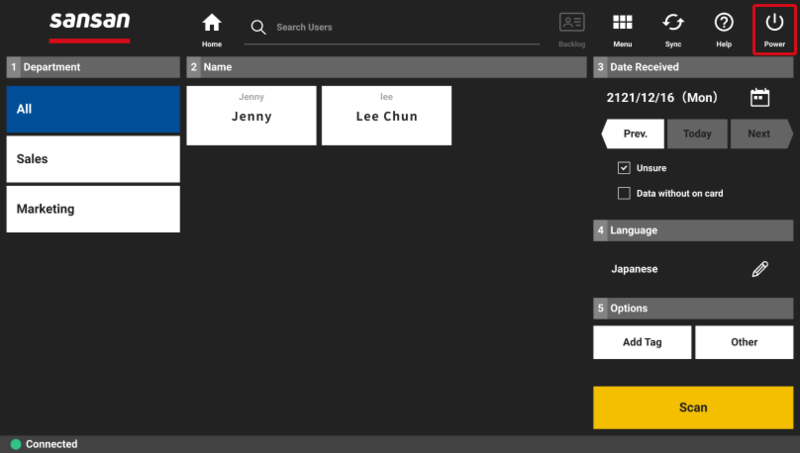 Select the "Paper" tab. Set it as below. Select the "Compression" tab. Set it as below. When the settings are complete, touch "Apply", and "OK". 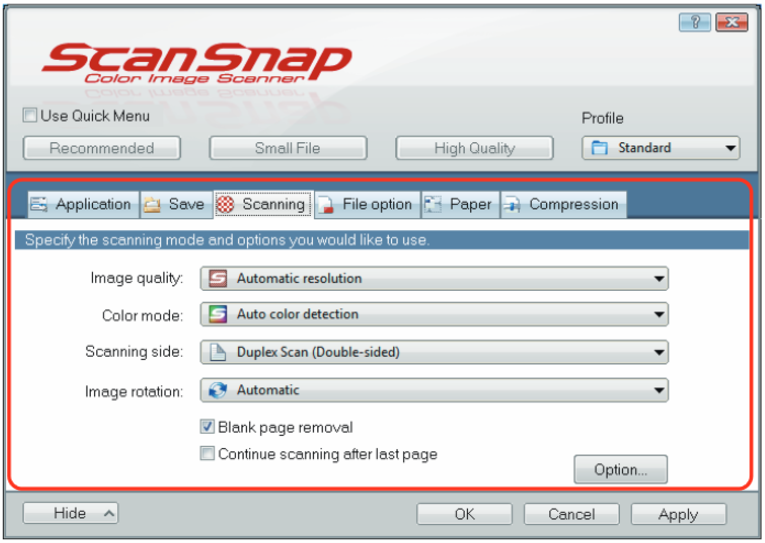 With this, the settings for ScanSnap Manager are complete. Tap the Scanner App icon, and open up the Scanner App. Scan the cards again, and check to see if the read-in is working correctly. 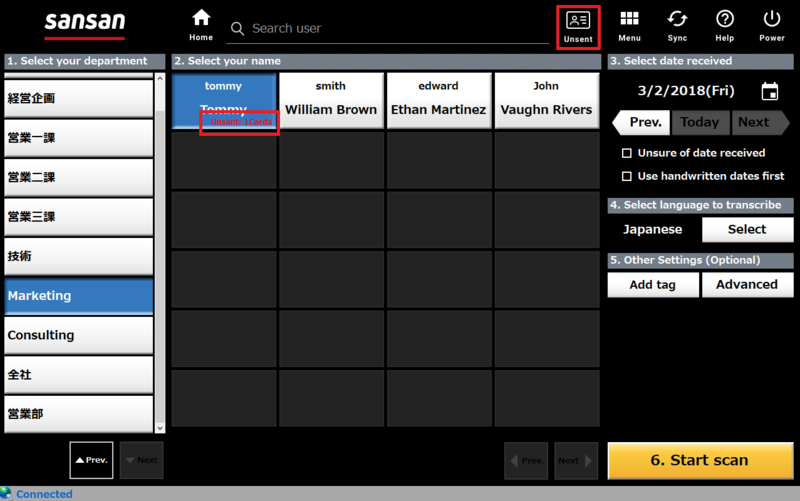 To the lower right of the user name, the number of cards will be displayed. 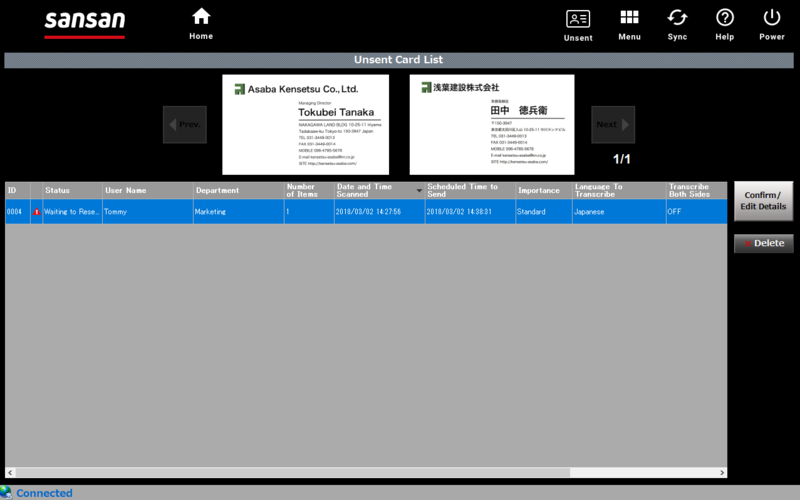 From the upper right of the screen, if you tap "Unsent", you can check the number of cards scanned.